I met up with Elsa Hildebrand and Nora Ekman for a ballet photoshoot in Hagaparken. Our plan was to start at the Eko Temple, and then walk around Brunnsviken and catch the sunset on the other side of the bay, but we got sidetracked and headed to the old unfinished castle that exists in the woods in Hagaparken. Hence the blog post name, Ruin Under Construction. After a quick inventory check we headed to Ekotemplet, which is beautifully situated right next to the water on a small hill. Nora Ekman. The sunlight shone through in little narrow pocket, in which Nora placed herself. Nora Ekman on the way to our next location we decided to make a quick stop for a photo. Gustav III had started construction for a grand castle in Hagaparken, however the work was never completed as the king was murdered in March 1792, which halted construction. The brick that had been shipped to the location was used elsewhere, and only the basement remains. The ruin was renovated twenty years ago, and there is a metal ladder set into the wall which can be used to reach the basement. 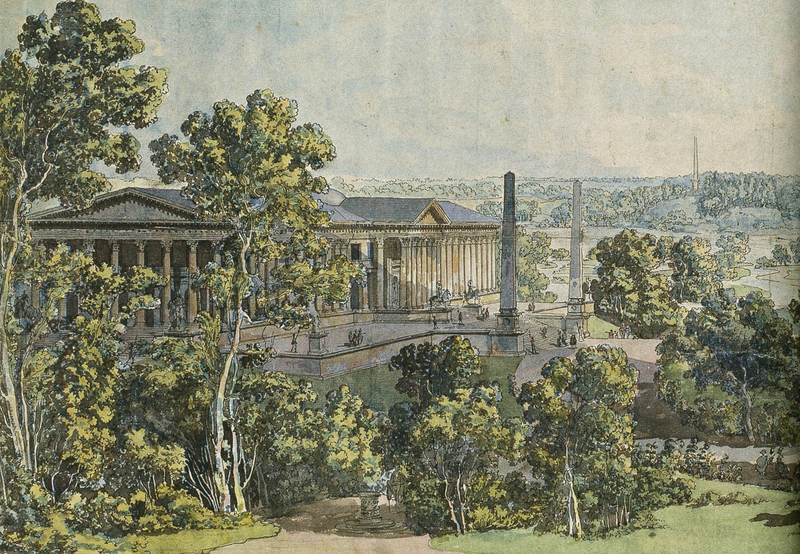 The castle as it was envisioned, drawing by Desperz 1791 (link to Wikipedia). Nora Ekman jumping off a ledge. The sun was getting lower so we decided to head south to try and catch some more light. Nora Ekman. Shooting into the sun is tricky, as you have to be careful with flaring, but you can get some beautiful photos. Our last stop was Bellevueparken, located to the south of Brunnsviken where we managed to get a few photos before the sun dipped below the tree line. After that we headed out into the water and onto a little rock we found there. Nora Ekman catching the last rays of sunlight. Nora Ekman on the rock. Elsa Hildebrand and Nora Ekman. Nora said it should be possible to do a heart shape with hair flicks in the water, so we tried. We got some cool photos, and with a bit of imagination you can see a part of a heart. Many thanks to Nora and Elsa for a fun photoshoot!